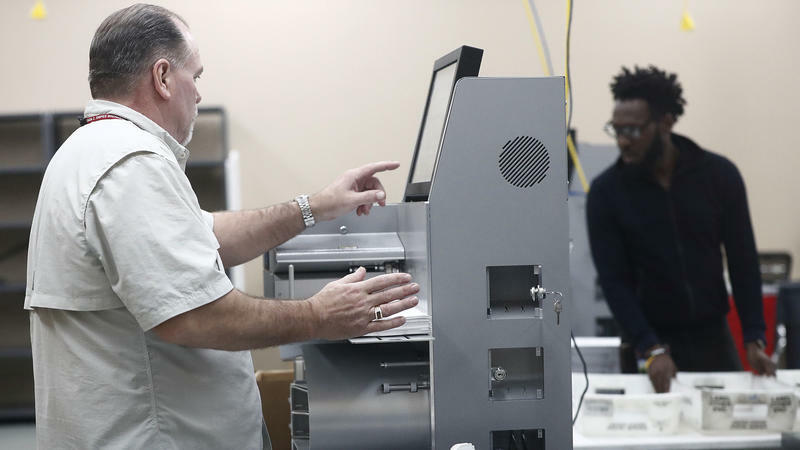 Broward County is expected to start its recount Tuesday in three contested statewide races: U.S. Senate, governor and agriculture commissioner. Florida has until 3 p.m. Thursday to finish counting more than 8 million ballots. As recounts are underway in Florida, a judge issued a warning Monday to "ramp down the rhetoric" as top Republicans — including President Trump — are casting doubt on the process. The finish line is in sight as voters make their final decisions on Election Day. Here's a guide to key times of the day across the nation. Stay with NPR throughout the day as we follow the presidential race and key battles that will determine control of the House and Senate. Join NPR to hear live coverage, which begins at 8 p.m. EST on NPR.org and many member stations.